SJCAM SJ8 Air Action Camera is the standard model of the SJ8 series. The SJ8 Air is powered by a Novatek chipset. The SJ8 Air has a 14mp Panasonic sensor. Other features include 2.33 inches Retina screen touchscreen, 1200mAh high capacity Battery, 7G Lens, gyro stabilization, and external microphone & remote support. The SJCAM SJ8 Air comes with a standard design that does not differ much from other models of action cameras, so we will have a simple style, black and with slightly rounded edges, which will improve the experience when it comes to holding it, is much more ergonomic. 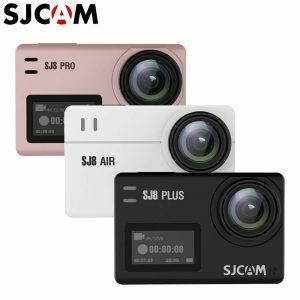 In addition to almost three times less price than the flagship GoPro models, SJ8 Air is able to boast the ability to capture high-quality video in Full HD 1080P resolution up to 1728×1296. The resolution of photography is up to 4320 × 3240 (14 megapixels). 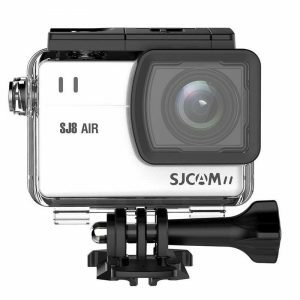 SJ8 Air looks more than worthy in the series of cameras in its price category. Other advantages of this model include the ability to work underwater – at a depth of 30m, as well as special attention to the quality of recorded sound, which for some was a problem when using earlier models from SJCAM. This time the SJCAM completed the camera with two stereo microphones with noise reduction – one of them is located on the frontal part of the camera, the second – on the side. 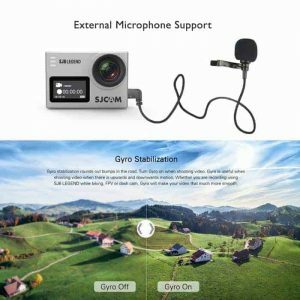 Microphone capabilities allow you to record video with high-quality sound at concerts, busy streets or during outdoor activities. 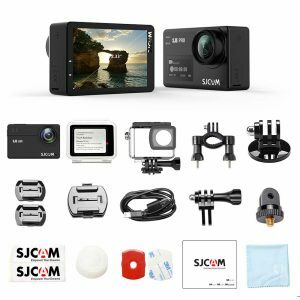 SJCAM SJ8 Air Action Camera is the most simple and low-cost option in the line of SJ8 action cameras from the manufacturer of video and photo equipment SJCAM. Like the older model SJ8 Plus, SJ8 is equipped with Novatek NT96658 video processor. Coupled with a Panasonic MN43110PA sensor with a resolution of 14.24 megapixels, it allows the camera to shoot video and take high-quality high-resolution photos while remaining in an affordable price segment.